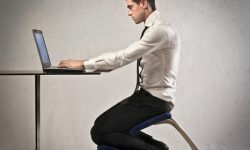 The ability to keep your muscles and body staying limber, without straining them due to the rigorous schedule that you may have at work, or the type of activities that you play every day, is sometimes difficult to do when you do not have the time to do proper stretching, or go to a masseuse on a regular basis to relax your muscles. Many of the problems that people have with bodily pain, especially in the middle and lower back, are the result of all of the attention that they are under due to activities that we conduct on a repetitive basis, leading to back problems. The use of heating pads has been around for quite some time, enabling your muscles to relax. A new technology has come out as of late, something called infrared heating pads, products that have been making waves in the back pain relief industry. Here is our infrared heating pad review of some of the best product out there, giving you a birds eye view of which one might be right for you. What Are Infrared Heating Pads? Infrared light is light that is on a certain spectrum, one that cannot be seen with the human eye, but can easily be detected using optical instruments that are able to detect heat. You have probably seen movies that depict creatures or villains that are seen through the eyes of soldiers that are only able to see their nemeses at night. Infrared technology makes it possible for people to literally see in the dark. What these devices are picking up is the heat signature of the infrared radiation, and it is the same electromagnetic radiation that allows muscles to relax when exposed to them on a regular basis. These heating pads work by using heating coils that are electrically charged, allowing them to emit what is called electromagnetic radiation. This type of heat will only affect your skin in most cases, unless a certain technology is used in conjunction with this infrared heat, allowing it to penetrate even deeper. There is some concern that too much exposure could actually lead to the development of problems such as cancer, yet when the electromagnetic levels are kept to a minimum, and the heat is at a maximum, this is the type of product that you will want to use. There are actually quite a few benefits associated with using these products on a regular basis. The first is pain relief. This deep penetrating heat can be easily absorbed by the body, causing the tissues and muscles to be heated up very gradually. It allows for increased blood circulation throughout the cellular structure of your body, offering temporary pain relief. It works not only on muscles, but has also been shown to relieve joint pain as well. Some studies have shown that this type of treatment can reduce the amount of fatigue or stress that you experience every day. For people that are constantly on their feet, or sitting down for long periods of time, this can strain the lower back very easily. Due to how far the infrared heat can penetrate the human body, this temporary relaxation of the muscles that are strained can diminish the pain that is felt. It can also stop muscle spasms, reduce muscular back pain, and is also used by physical therapists when dealing with minor sprains and strains. Finally, it is perfect for people that have poor circulation in their legs leading to potential blockages in their veins. By improving blood circulation using these devices, it can improve the way that your legs look, the way they feel, and can prevent certain maladies with your veins from ever occurring. The type of product that you get will depend upon how much money you have to spend, and where the pain actually is on your body. For instance, you can get one that specifically addresses shoulder pain, or you can get heating pads that you can lie on, or sit on, in order to reduce muscle fatigue. Some of them have 220 voltage which is very powerful, and with this much energy, they can almost instantly calm spasms that you may have every day. The price of these pads runs about $200 apiece, but this small investment is going to save you thousands of dollars over the course of your life by not having to regularly visit professionals that do physical therapy or chiropractors that will recommend several treatments in order to provide you with some semblance of relief. It is easy to find discounts on these products on the web, the place where most people go shopping for them. You can find specialty stores, or look on Amazon to see what vendors are actually selling their infrared heating pads through this e-commerce giant. You will likely find the best deals with specialty companies, waiting for sales that may come up every few weeks, allowing you to save a substantial amount of money on your purchase. Just keep in mind that even if the cost is $200 or more, this is money that you won’t have to spend on chiropractors and a physical therapist. Although it is still a good idea to go in for a massage from a professional masseuse from time to time, by using infrared heating pads regularly, you will feel better and not need adjustments quite as often. This infrared heating pad review should have provided you with some insight on how they work, and where to get the one that you need for the lowest possible price. They are very beneficial for people of all ages, and if you are suffering from chronic pain in your muscles and joints, you should consider getting one right away.